Ash Wednesday was on Wednesday 6 March 2019. It marked the beginning of Lent – a period of 40 days of preparation for Good Friday and Easter. The church tradition is that this period of 40 days, similar to Jesus 40 days of fasting, is for soul care – taking time to slow down, reflect, pray, fast and repent. The period of seeking God would lead to personal revival and ascend with a church celebration of Christ’s resurrection power in Easter. Give a half day to God in reflection and prayer. Pray for unsaved family members, friends, neighbours and colleagues. Pray in tongues for 15 minutes each day for a whole week. Meditate on the passages of the last week of Jesus and use them as a springboard of prayer. Skip a meal and use that time to humble yourself before God, acknowledging your shortcomings, powerlessness and need of Him. Go vegetarian for a week and give up sweet stuff. Fast from negative words and complaining and gossiping. Fast from social media for a whole day. Seek forgiveness and forgive where necessary. Speak kind and appreciative words to family members. Repent from worrying and entrust specifically your burdens to God. Visit and honour your aged parents or grandparents. Listen to someone’s story without judging, or interrupting or offering solutions. Pay attention to those who may need your help. Have a meaningful, reviving, enlightening Lent. 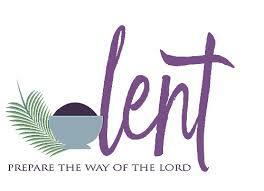 How would you like to use Lent for your own soul-care?